From an overflowing dishwasher in the kitchen to rising water in the basement, when excess water makes its way into your home it can wreak havoc, damaging your home’s structure and your belongings. When this happens to you it can be unbelievably traumatizing and stressful. 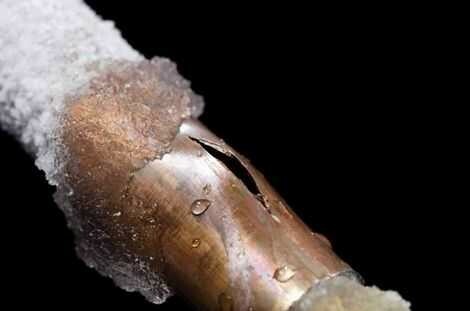 Even small water leaks can cause more damage than you may be able to handle on your own. When a water damage disaster occurs, the situation needs to be assessed and you need to know who to call for help. To prevent mold growth and any additional damage it is important that you have an emergency checklist readily available. Having an emergency timeline and checklist can help keep you on track, saving you time and money. First Step: Minimize damage by stopping the water at its source. Determine where the water is coming from; is it from a visible source, such as an overflowing toilet, or is it undetectable? If the water is coming from an internal source the safest bet is to turn off the main water line to your home or building. If the water source is coming from outside, try blocking the water from entering your home. If the water source is internal and you are unable to resolve it, contact a plumber right away. The sooner you stop the water source the better. Note: If the water is coming from a sewer line or your toilet, your disaster just became a biohazard and will require professional help. Contact a local sewage restoration company as soon as possible. Next Step: Turn off the electricity and remove any electronics from the affected areas. Keep in mind that some water damage can be hidden. Better to be safe than sorry by removing or unplugging any electronic devices that are in the near vicinity as well. DO NOT attempt to remove any standing water with a home vacuum or shop vacuum. You may compromise your safety if the outlets have been affected by water. Third Step: Remove small furnishings from carpeted areas or place aluminum foil under furniture legs. This will help protect your flooring from staining and lower the risk of any metal furniture from additional rusting. Hang draperies and pin up furniture skirts to avoid contact with wet floors. Avoid the possibility of electric shock; do not use a home vacuum or shop vacuum to remove water. Fourth Step: Ventilate any areas affected by water damage. Open any windows or doors to improve the airflow in your home while you wait for a professional crew to remove the water and repair the damages. If, and only if, it has been determined safe to use electricity you can place household fans to create an additional breeze. A clogged sink in a tile kitchen might be an easy water damage event to cleanup, however, water damage restoration projects are not for your run of the mill do-it-yourselfers. Without the proper equipment and expertise, cleaning the affected area yourself can lead to more water damage issues and mold growth than you started out with. Professionals know exactly what it takes to dry out the areas behind your walls, under your floor boards, and in your ceilings. They have equipment that allows them to see hidden water spots. They can also determine what items can be salvaged and what items need to be replaced. Call a professional water damage cleanup company like Fix Nou can save you time and money in the long run. We are Fixnou (Fix Now and New). We provide professional carpet cleaning & repair services to the Salt Lake Valley. Additional services include upholstery cleaning, tile & grout cleaning, and emergency water damage cleanup. We are also a general contractor, and offer construction and remodeling services. Service Area: Antelope Island. Bountiful, Woods Cross, Centerville, Farminton, Kaysville, Layton, Salt Lake City, Emigration Oaks, Summit Park, Murray, West Jordan, West Valley City, Magna, Sandy, South Jordan, Draper, Herriman, Lark, Copperton, Lehi, Silver Summit, Lake Point and more. Copyright 2017 Fixnou. Water Damage Marketing by Get Local Marketing.